Seasonal ingredients of tendon is fun ! 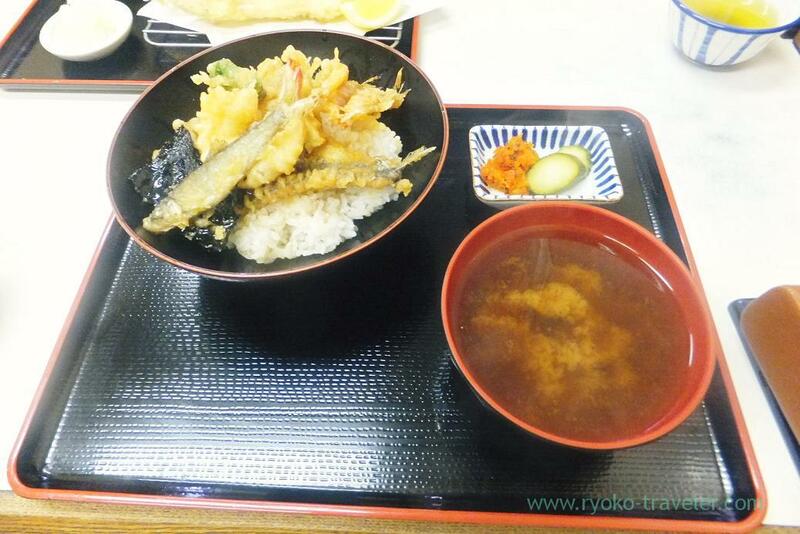 We had breakfast at Tenfusa before young sweet fish season is going to be end. 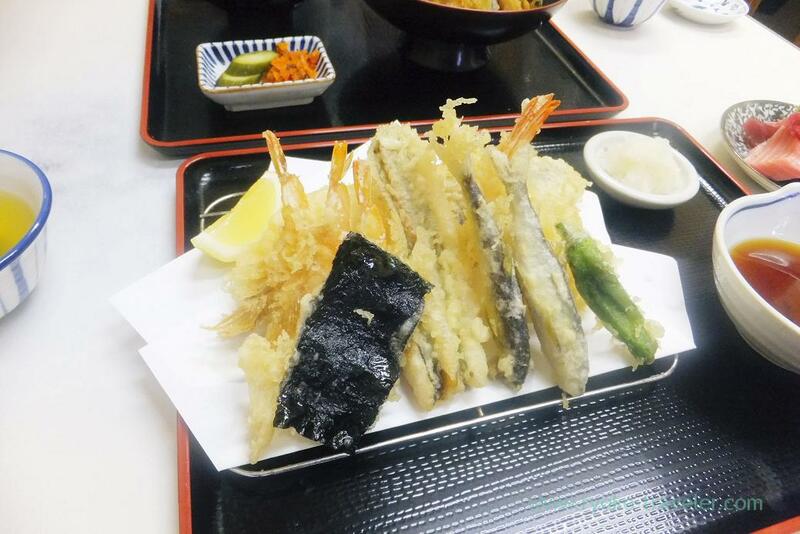 That day’s tendon contained shrimp, sillago, Shiba shrimp, sardine and young sweet fish. 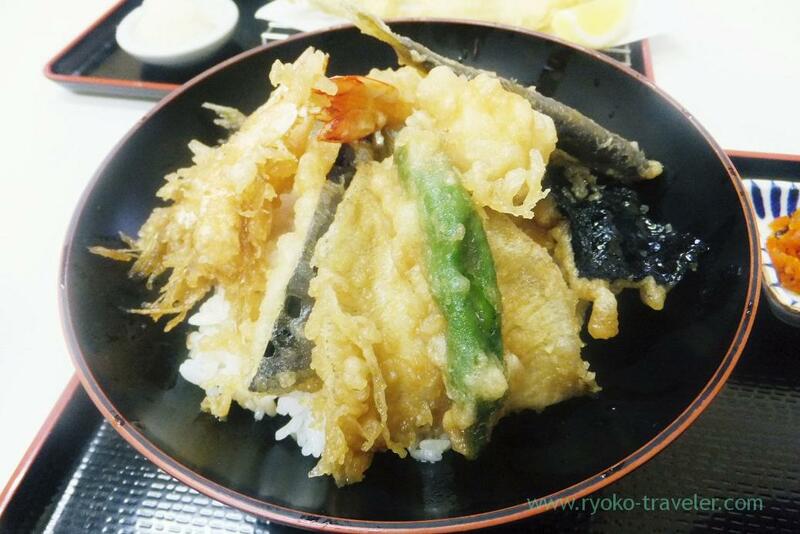 Though I ate young sweet fish tempura last time, I wanted to eat it as tempura bowl. Sweet fish is my delight. It’s my memories of youth. It’s the taste of my first love at camping 🙂 So, Sweet fish is special for me. 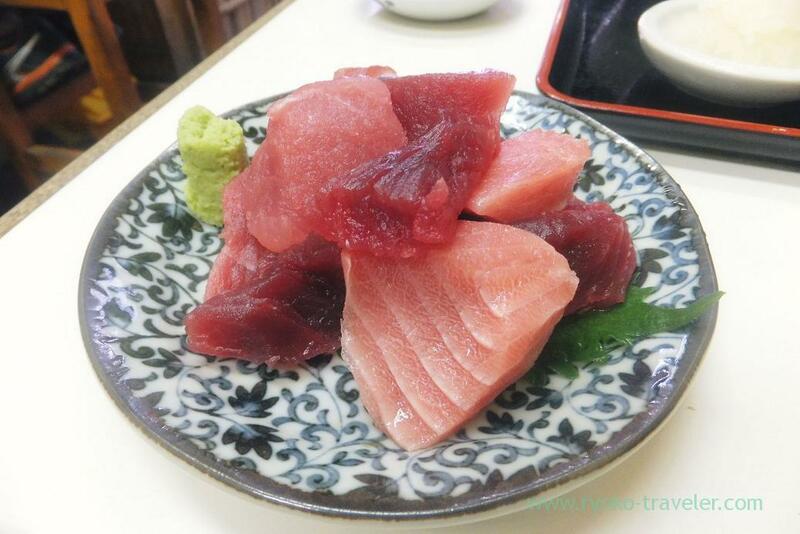 But when I ate young sweet fish for the first time at Tsukiji, I was amazed. Such a tiny fish have abundant bitterness, sweetness and fat. 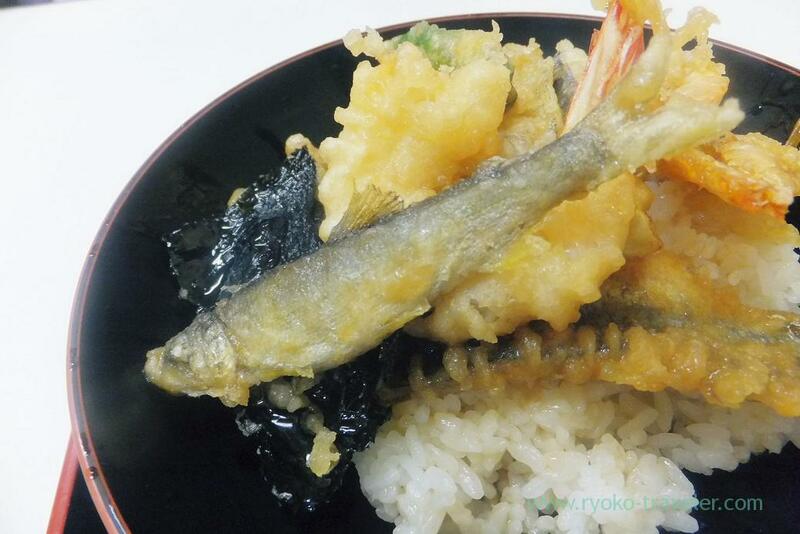 It is really tiny, so the fish disappear with only one bite. I ate it dearly with two bites. 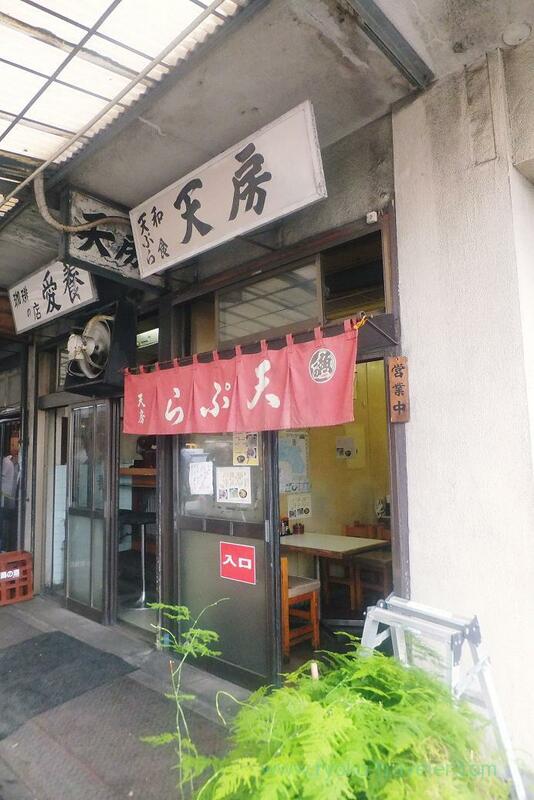 Tenfusa is tempura shop, but it is within Tsukiji Market, so of course they serve awesome tuna sashimi (まぐろブツ, 500 yen). 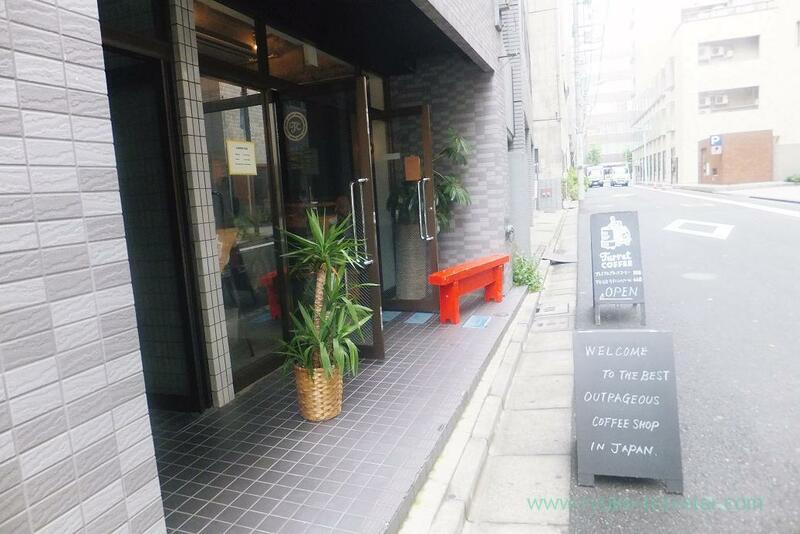 After the breakfast, we moved to Turret coffee as usual. We met our acquaintance at there as expected. He must have lived there ! Every time I go to there, he is there, too ! 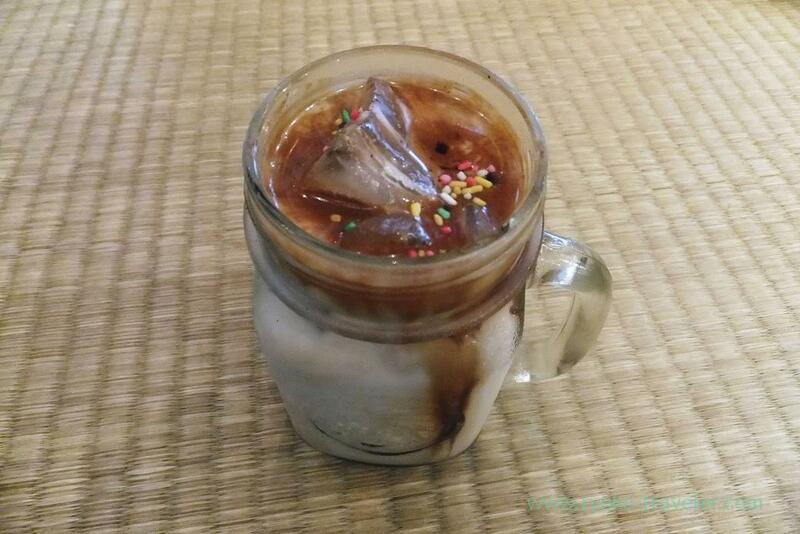 Seasonal coffee (季節のコーヒー, 440 yen) was Chocolate banana latte. So, I decided to drink it !